What would Amelia Earhart’s Instagram account have looked like? American Experience decided to find out. Earhart had skyrocketed to celebrity in an age where there were not only few women on the public stage, but fewer people period. And the stage itself was smaller — a far cry from the omnipresent feeds detailing celebrity breakfasts in real time today. 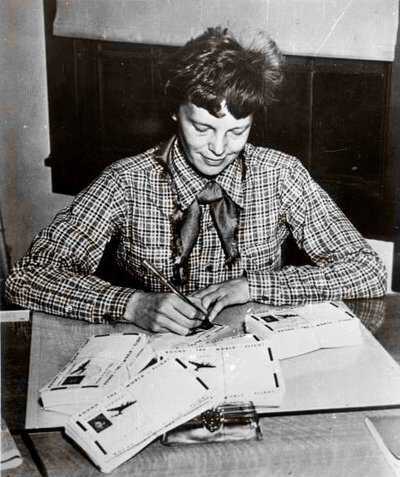 Granted, Earhart had become the first woman to fly across the Atlantic because the Friendship flight’s promoters deemed her “the right sort of girl” for the job. Nevertheless, her authenticity was never in doubt. No, she wasn’t the best female pilot flying, but she always flew, setting some dozen aviation records, and becoming the first woman to cross the Atlantic solo, in 1932. But unlike the starlets in Southern California, Earhart had no institutional machinery behind her — or even a career path to follow. Besides Lindbergh, few pilots were able to make a profession out of their very expensive sport. And while the Friendship flight had brought a flush of opportunity her way, Earhart and her publicist-turned-husband, George Palmer Putman, realized that if she wanted to keep flying, she had to keep herself in the public eye. And so she engaged in a distinctly modern hustle — self-promotion through (almost) any means necessary. She turned around books about her exploits at lightning speed. (Her first, 20 Hrs. 40 Min., hit bookstores less than three months after the Friendship landed at Burry Port.) She stormed the country on lecture circuits, at one point delivering 23 talks in nearly as many days — all while driving herself from town to town. She wrote articles for various newspapers and magazines and became the “aviation editor” for Cosmopolitan. She became a prolific endorser of products ranging from Lucky Strike cigarettes to Kodak film to Beechnut gum and Horlick’s Malted Milk cubes — though, according to Barbara Schultz, author of Endorsed by Earhart, she turned down the truly random (rabbit meat) and the potentially exploitative (children’s hats). She partnered with the Orenstein Trunk Corporation of Newark, New Jersey to create her own luggage line, and designed a line of fashionable “active clothes” for women. 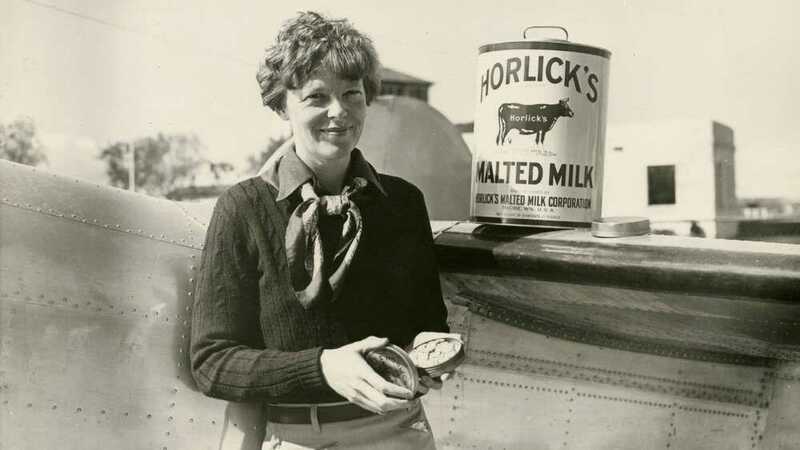 On her flights, she carried sacks of envelopes that admirers had purchased to have postmarked and sent from Earhart’s far-flung destinations. A deft practitioner of the publicity stunt? A content marketeer? An athleisure pioneer? In the 1930s, Amelia Earhart had all the marks of the modern celebrity. But unlike modern celebrities, Earhart didn’t have the advantage — or the onus — of her many fans at her fingertips at any given moment. In other words, she had no Twitter, no Facebook, no Instagram. But what would it have looked like if she had? Would she even have used it? That glimmer of interest, along with her absurdly photogenic visage (a Kardashian could only hope to look that good after piloting a 20-hour flight), and a penchant for travel to exotic locales would seemingly have made Earhart a natural Instagrammer. But she wouldn’t have stopped there. Alongside a well-filtered photo journal of her day, Earhart likely would have used social media to elevate a critical message or two. And she flew for aviation itself. At the time, the American commercial airline industry was in its infancy and flying was still widely considered dangerous. 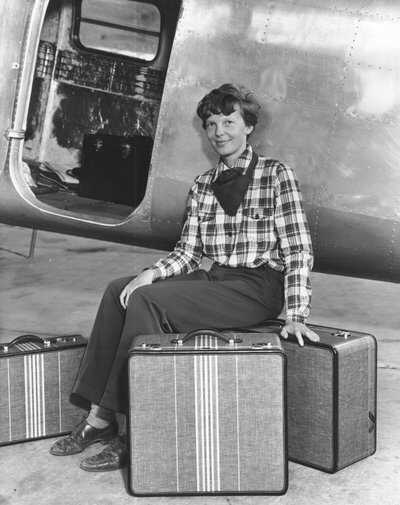 Earhart embraced her role as spokesperson, seeking to convince the public that air travel could be safe and enjoyable. Surely, flying through the clouds would have seemed more enticing with a Perpetua or Skyline filter. As for solo selfies, Ware can imagine George Putnam nudging his wife/client to, “show them what you’re having for breakfast,” but doubts that the aviator herself would have been interested. Earhart, after all, was real; she would have been too busy with the control stick to worry about the selfie stick. So what does the American Experience staff imagine Amelia Earhart’s Instagram account might look like? Follow @RealAmeliaEarhart to find out. Schlesinger Library, Radcliffe Institute, Harvard University; Purdue University, Archives and Special Collections; Smithsonian National Air and Space Museum; Smithsonian National Portrait Gallery. Amelia Earhart, 20 Hrs. 40 Min. (G.P. Putnam’s Sons, 1928). Amelia Earhart, The Fun of It (Harcourt, Brace and Company, 1933). Amelia Earhart, George Palmer Putnam, Last Flight (Harcourt, Brace and Company, 1937). Barbara Schultz, Endorsed by Earhart (Little Buttes Publishing, 2014). 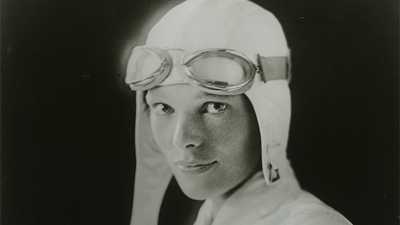 Doris Rich, Amelia Earhart (Smithsonian Institution, 1989). Susan Ware, Still Missing: Amelia Earhart and the Search for Modern Feminism (W.W. Norton & Company, 1993). Hashtags are of our own creation. As the first woman to fly solo across the Atlantic, Amelia Earhart a became legend. 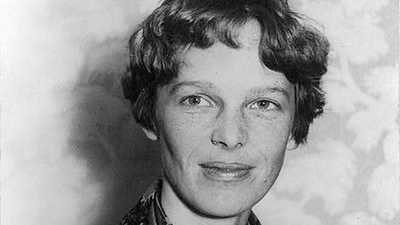 Learn about Earhart's life from her childhood spent roaming the outdoors, to her first flying lessons, to her disappearence over the Pacific in 1937. Amelia Earhart may have been the most well-known woman pilot of her time, but she was neither the first nor the last to achieve great heights in the world of American Aviation.